Roll on in and check out Saluki Spokes, located in the Student Center Craft Shop, courtesy of the 2008 Student Affairs Innovation Awards. 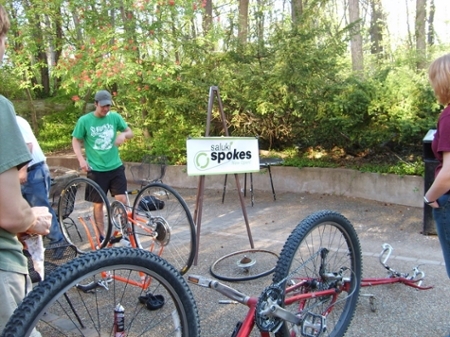 Saluki Spokes has basic materials and tools so that you can fix your own bike and get back on the road. The tools are free to check out. It's our hope that students, staff, and faculty increase their bicycle usage on the SIU campus as basic bicycle care is now available six days a week. Also check out Bike Watch to help provide security for your bike.